In 1932...Radio personality, Casey Kasem, was born in Detroit, Michigan. In 1933...Karl Jansky reported receiving cosmic Radio signals in Washington, D.C. In 2008...Radio Personality Big Ron O'Brien passed away at age 57. In the long story of Don Imus’ career, few events could be stranger than NBC management’s decision to fire the personalities of WNBC radio. Among those let go in late ’77 were Cousin Bruce Morrow and morning man Don Imus. Imus had been a new face in the hallowed halls of the flagship station of the NBC radio chain back in 1971, at a time when WNBC radio was still just rolling out from under a middle of the road format that was ostensibly 50 percent still network programming. 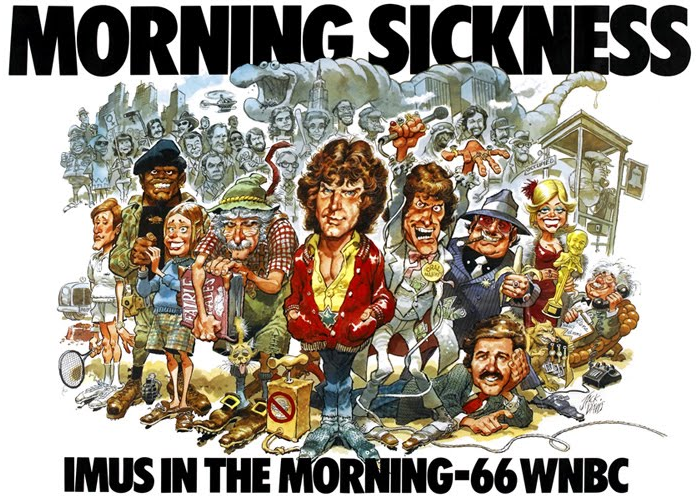 With Imus in the Morning and Brucie at night, when he arrived in ’74, WNBC began to transform itself into a modern top 40 station. But, it wasn’t quite enough. To even think about competing with Top 40 ratings giant WABC, NBC brass decided to flip the station to a less-talk, more music approach. So, one day in 1977, nearly the entire airstaff was let go. New faces, like Alan Beebe were introduced in the next two years, and a new, streamlined sound, it was hoped, would bring ratings up. In the end, it failed, and the lesson learned was that personality, coupled with the music was what brings listeners. So it was that in September 1979, WNBC re-hired Don Imus for the morning show. Armed with a feisty attitude, a stack of rock & roll records and a leather jacket that said, “Imus is Back”… the Imus in the Morning show returned to 660 AM. And after a big gaffe that Imus uttered on air several years ago regarding the Rutgers Women’s Basketball Team and a short hiatus from the air, Imus is now heard on the station he competed with in his early years, 77 WABC. In 1921…WEW in St. Louis was the first radio station to broadcast weather news and forecasts. Saint Louis University established the station 9YK around 1912, using Morse code to communicate seismological and weather information. Brother George E. Rueppel, assistant director of the Meteorological Observatory at SLU, worked with 9YK before he founded WEW in 1921. Audio transmissions began at 10:05 a.m. on April 26, 1921; the first voice heard was SLU president Rev. William Robison. 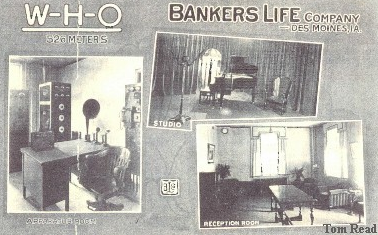 The station received radio license #560 to broadcast on 618.6 kHz (wavelength 485 meters) as WEW on 23 March 1922. In 1924...WHO Des Moines began broadcasting. The actual on-air start date is in dispute. A WHO memo from June 14, 1951 states that the first broadcast was on April 10, 1924; this is contradicted by Barry Mishkind Database which states that the First Broadcast License was effective on April 10, 1924 (the FCC's records indicate that the license took effect on April 15, 1924) with the first broadcast on April 26, 1924. In any event, the station was originally owned by Bankers Life, which is now the Principal Financial Group. WHO moved from 1000 AM to the current 1040 AM on March 29, 1941, as a result of the North American Radio Broadcasting Agreement. 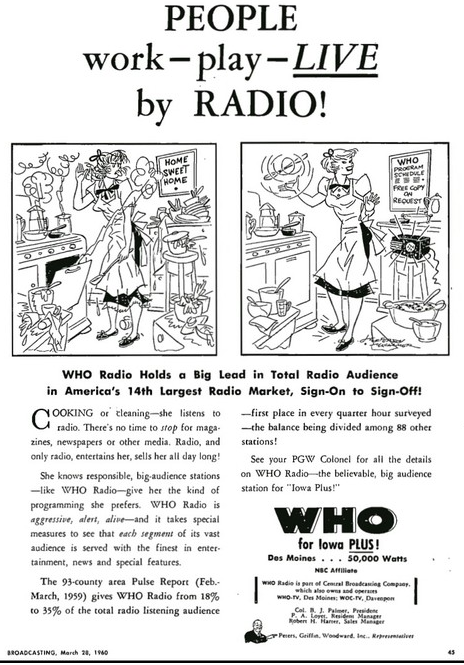 Today WHO is one of only two 50,000-watt AM radio stations in Iowa (KXEL in Waterloo is the other, however, it is not on a "1928 Band Plan" clear channel like WHO, but is on a NARBA band plan clear channel, dually allocated to The Bahamas (Class I-A) and to Waterloo, IA (Class I-B)), though WHO's signal is non-directional and KXEL's is directional, as are most, but not all Class I-Bs. WHO was owned by the Palmer family until Jacor Broadcasting purchased the station in 1997; Jacor merged with Clear Channel Communications a year later. WHO and the other Clear Channel radio stations in Des Moines (KDRB, KPTL, KKDM, and KXNO) continued to share a building with WHO-TV until they moved into a new facility in 2005. For many years, WHO has used an owl as its mascot—an apparent play on its call letters. 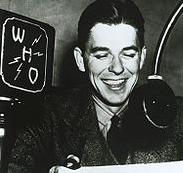 United States President Ronald Reagan worked as a sportscaster with WHO from 1932 to 1937. Among his duties were re-creations of Chicago Cubs baseball games as did many radio stations in those days when sports networks had not yet become widespread. In 1976…CBS Radio newsman Allan Jackson died at the age of 60. In 1995...Bob Dayton - NYC Radio personality WABC, WPIX FM, WCBS FM died. He is considered a "pioneer of FM rock," who played an important role in the progressive rock era of FM broadcasting. He was the first person to host a rock music show on New York City's FM band, commencing November 21, 1964 on WFUV. By broadcasting progressive rock and long album tracks, he was noted for introducing a musical alternative to Top 40 AM radio in New York in the late 1960s and early 1970s. Billboard called his station "a legend, affecting and inspiring people throughout the industry." He gave early exposure to country-rock bands like Buffalo Springfield and Poco, and did one of the first American interviews with Elton John. In 1991 he was co-host of "Paul Simon Live in Central Park" and was often called to be an expert guest commentator on PBS specials, including those featuring Bob Dylan, John Fogerty, The Grateful Dead, Jimi Hendrix, Roy Orbison, Peter, Paul and Mary, Simon & Garfunkel, James Taylor and others. Analyst: Pandora Investors "Need To Depart The Bus"
"Pandora faces a significant growth rate decline, and we think investors need to depart the bus and seek alternate modes of transportation,” is the pessimistic assessment of Albert Fried analyst Rich Tullo, who believes the stock’s decline will get worse before it gets better. According to seekingalphia.com, the key worry is Pandora’s count of active listeners, which grew 8% YTD to 75.3M in Q1, but that isn’t strong enough for some analysts, who worry that newer services, such as Apple's iRadio, Spotify and others, could pressure growth in the future (Q1 results). Fried thinks the growing competition and high costs will continue to crimp Pandora’s bottom line and ultimately weigh on the stock price, whose target he cuts to $20 from $23. Other analysts are not as pessimistic, according to Seeking Alpha. Pandora is now available in all 10 of the bestselling passenger vehicles, with 5M new activations in Q1, notes Needham's Laura Martin, reiterating a Buy rating and $41 price target and sharing her key takeaways from the earnings call. "We estimate that P has a 5 year head start over other ad-driven streaming services." 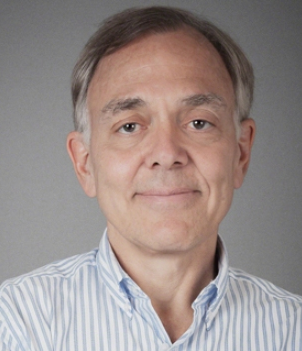 Mobile ad revenue of $103M increased 59% YTD, driven by rising audio ads, say Cowen's John Blackledge, maintaining his Outperform and $41 price target. Mobile advertising was slightly ahead of his team's forecast. "As in-car listening hours ramp Pandora is likely to air more in-car audio ads than on other devices to offset the inability to offer video/display ads." Another area of concern, the company's active users continues to plateau. Among a sea of improving metrics active users continues to slow, possibly even regress. These numbers haven't exactly been scorching to the upside since November of last year. According to Clear Channel's Chief Fiancnial officer, Nielsen has now proved beyond a shadow of a doubt what everyone has always known. CFO Richard Bressler states "radio over delivers by far for our advertising partners and that radio provide unparalleled value of every dollar invested". Bressler told analysts during the company's earnings conference call Thursday that CC is sharing the details of this Nielsen study with their advertising partners to help them understand why radio should become a bigger part of their media mix, especially now when consumers are becoming increasingly mobile. In fact, says Bressler, "other heads of radio companies are joining us next Monday when Nielsen will host an event at our office to brief advertisers, advertising agencies, and industry players on the results of the study what radio can do for their clients and for their businesses". Bressler cites BTIG’s Rich Greenfield report which points out that "only broadcast radio allows you to buy reach and frequency, delivered in a context by DJ and despite some digital competitors claims to the contrary, they can’t even come close to achieving radios effectiveness for advertisers. From an organizational standpoint, we create a new major market structure with -- under which four of our senior operating executives are reporting directly to Bob Pittman and myself". Bressler added the new iHeartRadio Networks will offer advertisers access to Clear Channel’s powerful collection of integrated assets, 840 broadcast radio stations, the iHeartRadio app, the syndicated programming of premier networks, DJ mentions, popular digital channels, local websites and more. "Advertisers can use these assets in a very targetive way to effectively reach demographic and psychographic groups, including millennials, country, Hispanic, African American, women, men, and holiday. This new unified network provides the kind of targeted impact and massive reach that marketer’s need which they used to receiving from television networks and that we can provide." During Thursday's earning conference call with analysts, CEO Jim Meyer said SiriusXM remains on track to do approximately $ 100 million of revenue in their connected vehicle business this year and expects business to double over a three-year timeframe with strong double-digit annual growth in revenue. 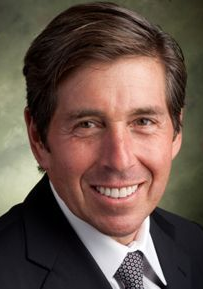 Meyer stated, "The newly enlarged connected vehicle business at Sirius XM also have strengthen our push to win more business as several large OEMs remain uncommitted to a connected vehicle provider. The connected car is coming, and that’s a fact. We are moving our entire organization to capitalize on this opportunity from our investments in the CV business to the improvements we are planning in our core audio service. We see tremendous value in delivering a service that combines the best features of satellite broadcast and IP connectivity." According to Meyer, their connected vehicle business is still in very early stages, but development work is a critical part of building both offensive and defensive capabilities. Meyer also told analysts, "You know, what really sets us apart from all of our competitors is our great content. In programming, I’ve never been more excited about what we are doing here at Sirius XM across sports, talk and music. Creating and broadcasting unrivalled content is the core of our business and vital to attracting new subscribers and keeping existing ones." 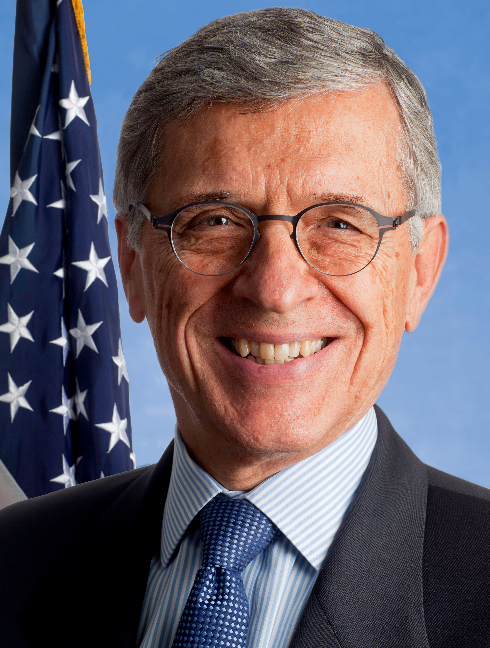 FCC chairman Tom Wheeler pushed back against reports that his proposals for net neutrality, introduced to fellow commissioners on Thursday, are watering down the agency’s efforts to preserve an open Internet and allowing for a landscape that will freeze out competition, reports Variety. Reports on Wednesday of the new net neutrality proposals triggered an outcry from public interest groups, particularly over the notion that the new rules would allow for content companies to pay Internet providers for prioritization, like faster delivery to consumers of web video. That raised the prospect that burgeoning streaming companies like Netflix and Amazon would pay Internet providers for more favorable treatment, with the costs ultimately passed on to consumers. But Wheeler, along with FCC officials who briefed reporters on Thursday in a conference call, said that the proposals had been misconstrued. Key parts of the FCC’s net neutrality rules, passed in 2010, were struck down by the D.C. Circuit Court of Appeals in January, including a provision that prohibits ISPs from blocking content, and another that bar them from “unjust and unreasonable discrimination” in the delivery of traffic to consumers. The new proposals would retain that no-blocking rule, but the anti-discrimination rule would be abandoned in favor of a new legal standard, one that would measure whether Internet providers were engaging in “commercially reasonable” conduct in the way they treat traffic. A content company could still enter into an agreement with an Internet provider for special access to consumers, but such deals could not be commercially unreasonable. Carbonite is a popular Cloud-based file storage service designed for consumers and small business created by serial entrepreneur David Friend. According to a Forbes piece, yhe key to David’s success lies in his own experience as a small business owner. Friend has been a successful entrepreneur for more than 40 years, acting as co-founder for six technology companies in the Boston area. His most successful endeavor to date, Carbonite Inc., was formed in 2005 in his dining room, and grew in less than six years to a publicly traded company. The Boston-based Carbonite now has 425 employees with revenues of $107 million last year (up 28% Y-O-Y), and is the fourth joint venture between David Friend and Jeff Flowers, both well-known Boston-based entrepreneurs. Prior to Carbonite, Dave and Jeff founded Pilot Software, FaxNet Corporation and Sonexis Incorporated. Once the technology issues were solved, the company’s next challenge was creating a brand that people would trust with their most precious documents. Marketing would need to be the driving force to grow the company. That’s when the company came up with the idea of using endorsements from talk radio show hosts. “That was another stroke of good luck. We found out that people who listen to talk radio, especially conservative talk radio, really trust the hosts,” says Friend. The company then went out and signed up every national talk radio show host from Howard Stern to Rachel Maddow to Glenn Beck to Rush Limbaugh to pitch for Carbonite. “It was a real stroke of brilliance on the part of our marketing VP. Every year we doubled the ad spend which doubled the revenue. 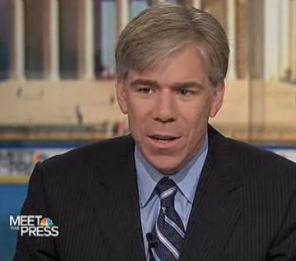 NBC News President Deborah Turness sent a memo to "Meet The Press" staff on Thursday reiterating her support for embattled host David Gregory and criticizing recent press coverage about him as "ludicrous", according to Dylan Byers at Politico. "There has been a great deal written about "Meet the Press" in the past few days, much of it quite ludicrous," Turness wrote in the memo. "I wanted to reach out to reiterate my support for the show and for David, now and into the future, as we work together to evolve the format." In the memo, Turness said "some of the chatter has been vindictive, personal and above all — untrue." "NBC News is proud to have David in the important anchor chair of 'Meet the Press,'" she wrote. "He is passionate about politics, and is committed to getting answers for our viewers on the issues that matter to them the most." "'Meet the Press' has always been the must-stop place where news is made and critical conversations take place — and we will continue that charge while at the same time adapting and innovating with new ideas on all platforms and connecting what's happening in Washington to Americans across the country. David is at the helm of these changes and will lead you and the program on the journey ahead," she continued. Conservative pundit Michelle Malkin writes in The NY Post that she could have saved the honchos at NBC News a lot of time and trouble. The first answer is: David Gregory is a phony. The second answer is: He’s a jerk. Gregory’s predecessor, Tim Russert, was highly respected on both sides of the political aisle. The former chief of staff for iconoclastic Sen. Pat Moynihan turned “Meet the Press” into mandatory viewing for any American serious about politics and policy. Yes, Russert was liberal. But he never pretended to be anything he wasn’t. He did his homework. He didn’t pull punches. He helped enlighten the nation about our entitlement crisis. He conducted interviews, not one-sided partisan lectures. Russert was also a decent man, as so many warm eulogies across the ideological divide attested. Gregory is the anti-Russert. His boorish behavior around DC is legendary, from his juvenile tantrums with the Bush press staff to his drunken radio appearances to his diva snit fits with innocent bystanders while filming news segments. Since Gregory doesn’t have the intellectual heft to carry in-depth interview segments the way Russert did, Malkin says “Meet the Press” producers have reduced substantive exchanges to a few minutes and larded the rest of the show with fluff and stunts. ABC News Radio has announced KQTH in Tucson, Arizona as a new affiliate. Starting this week, ABC News Radio newscasts will be heard on KQTH at the top and bottom of each hour. In addition, ABC News Radio correspondents will also be on-hand to join Tucson’s Morning News with Bill White throughout the week. “During these times when news is constantly breaking 24/7, ABC News Radio is our partner in bringing the world to Tucson,” said Bill White, Program Director for KQTH. “We’re proud to expand our relationship with the Journal Broadcast Group and excited to be part of Tucson’s News and Talk station, KQTH,” said Steve Jones, Vice President & General Manager of ABC News Radio. In addition to hearing ABC News coverage on the radio, KQTH will publish written stories from ABC News Radio on its continuously updated website. KQTH Radio is owned by the Journal Broadcast Group. The FCC is seeking to wrap up some eight-year-old business involving WTKV 105.5 FM, its city of license and several broadcasters in the area. 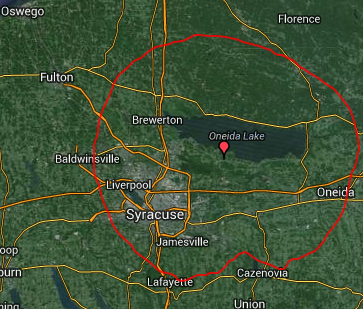 According to RadioWorld, Station owner Galaxy Communications had sought to modify the community of license from Oswego to Minetto, N.Y., a few miles closer to Syracuse. 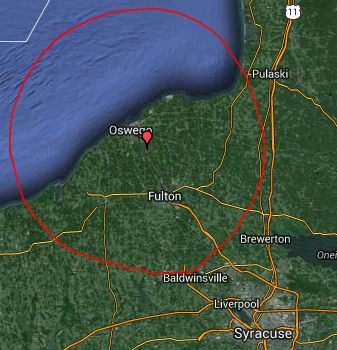 The station airs at 105.5 MHz and simulcasts programming of WTKW, “TK99,” a sister Galaxy station in Syracuse. The Media Bureau originally said no to the change because, at the time, Galaxy had an interest in nine stations in the Syracuse metro, three AMs and six FMs, exceeding the local radio ownership limits of seven and no more than four in one service. Galaxy’s holdings had been grandfathered; but the lower limits kicked in when it applied for a minor change to implement a change in community of license. The company has since divested its ownership interests in WGKV(FM) Pulaski and WZUN(FM) Phoenix, N.Y. Based on that change, the FCC this January approved a change in community of license for WTKV. The negotiation stands in stark contrast to the recent impasse with former GMA anchor Josh Elliott, who earlier this month left ABC News for NBC Sports after several months of very public and ultimately futile contract talks between ABC News executives and Elliott's representatives at CAA. 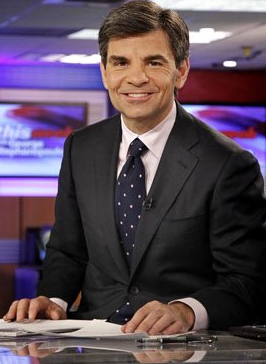 Elliott's defection was preceded by the departure of weather anchor Sam Champion, leaving Stephanopoulos as the sole male anchor left on the program. That gender imbalance has been made better by the addition of Live! With Kelly and Michael co-host Michael Strahan, who made his debut on GMA April 15. Additionally, ESPN's Tony Reali was named a GMA contributor on April 10. In the late 1970s, Oprah Winfrey was the co-host of a Baltimore morning show called "People Are Talking." She'd enjoyed her time there, alongside co-host Richard Sher, but felt that she'd grown enough in that role and was ready for her next adventure. According to HuffPo, that's when Oprah heard there was a morning show in Chicago that needed a new host. Determined to land the Chicago job, Oprah stayed up all night with an editor working on her audition tape -- a tape that has since resurfaced. 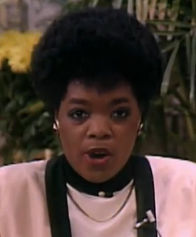 Watch the video to see the 1983 audition in which Oprah explains the origin of her unique name. Oprah landed the gig, hosting the morning talk show titled "AM Chicago." In a matter of months, the half-hour program became Chicago's highest-rated talk show. Soon, it was extended to a full hour, renamed "The Oprah Winfrey Show" and began broadcasting nationally, which it continued for 25 more years. 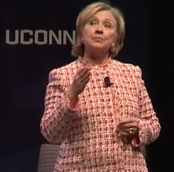 Former Secretary of State Hillary Clinton lamented the state of journalism on Wednesday, telling an audience at the University of Connecticut that journalism is now driven more by entertainment than fact based reporting, according to CNN. Clinton, who has been the focus of national media attention since the early 1990s, told the 2,300-person audience that "journalism has changed quite a bit in a way that is not good for the country and not good for journalism." "A lot of serious news reporting has become more entertainment driven and more opinion-driven as opposed to factual," she said. "People book onto the shows, political figures, commentators who will be controversial who will be provocative because it’s a good show. You might not learn anything but you might be entertained and I think that’s just become an unfortunate pattern that I wish could be broken." Clinton's comments came as part of the question and answer portion to Wednesday’s event. University of Connecticut President Susan Herbst asked Clinton about how journalism has changed and whether journalists could help break gridlock that has halted work in Washington. The former secretary of state went on to say that she feels there is a space for "explanatory journalism because there’s a lot going on in the world that needs explanation." The former first lady also had a tip for journalists: Do your homework. "It’s important for journalists to realize that they have to do their homework too and they really should be well-prepared when they interview people, when they talk about issues," she said. "I think that it’s with professional tweaking and creativity we could address some of the issues we know are plaguing journalism today​." Clinton has long been the focus of journalists' attention, which at times has caused an acrimonious view of media. Megyn Kelly and Charlie Rose are two of the world's most influential people, according to Time magazine. 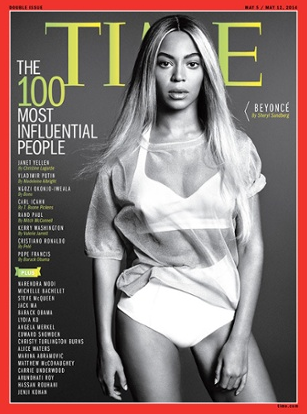 HuffPo reports the magazine released its annual Time 100 list on Thursday. The honorees were selected with help from journalists and other Time 100 alumni, according to managing editor Nancy Gibbs. "The vast majority of this year's roster reveals that while power is certain, influence is subtle," Gibbs wrote. Kelly, who moved to the 9 p.m. timeslot on Fox News last year, was part of the list's "Pioneer" category. In his profile of Kelly, Fox News' Brit Hume recalled watching Kelly's audition tape and seeing her potential. 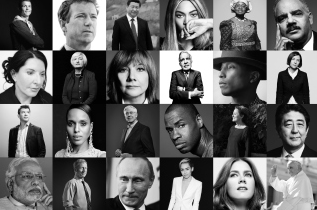 Rose was named one of Time 100's "icons." Former New York mayor Michael Bloomberg called him "the most disarming man in America" and "one of the most important and influential people in journalism." Ronald McDonald is setting out on a global mission to rally the public through inspiring events. For the first time, Ronald McDonald will take an active role on McDonald’s social media channels around the world and engage consumers using the #RonaldMcDonald hashtag. As Ronald begins his journey, he seeks to deliver on the mission: “Fun makes great things happen” - the idea that moments of fun and enjoyment bring out the simple pleasures in life and can lead to acts of goodness. Owner/operators of newly-built and remodeled restaurants around the world will also have the opportunity to incorporate revamped in-store graphics, furniture and other design elements featuring Ronald McDonald within restaurant interiors over the next few years. Television ads and promotional materials in the U.S. with the newly-reimaged Ronald will begin appearing later this year. The 51-year-old Ronald McDonald will be sporting a new wardrobe, which includes yellow cargo pants and a vest, accompanied by a red-and-white striped rugby shirt. His iconic big red shoes will remain the same. Reserved for special occasions, Ronald has a whimsical new red blazer with the Golden Arches on the front pocket and his well-recognized signature on the back, and a special bowtie to complete the look. WebmasterRadio.FM, celebrating its 10th year of delivering award-winning original talk programming to the digital marketing landscape and pioneering the podcast movement to inform and educate hundreds of thousands of digital marketers worldwide, has announced their inclusion into iHeartRadio, Clear Channel's free all-in-one streaming music and radio service media streaming platform. Popular shows like SEO 101, Affiliate Buzz, Market Edge with Larry Weber, Purse Strings with Maria Reitan, along with all other WebmasterRadio.FM network programs will now be available via the iHeartRadio streaming digital platform under Shows & Personalities. These dedicated show pages feature over 20 hours of WebmasterRadio.FM's original talk radio programming catered to the business-to-business marketplace every week. "WebmasterRadio.FM is known to be the largest online radio/podcast network for the B2B marketplace. Our listeners have long benefited from having access to the worlds most respected business minds that are shaping and changing the digital landscape. To know that our good work continues and more people will have an opportunity to learn from leaders is breathtaking." WebmasterRadio.FM President, Brandy Shapiro-Babin. 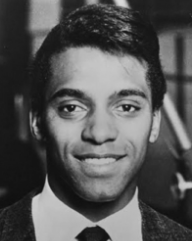 Deon Jackson, a soul and R&B singer from the 1960s, died April 19. He was 68, according to mlive.com. Jackson, who was 68 at the time of his death, studied clarinet and drums as a child, and while attending Ann Arbor High School formed his own vocal group, concurrently performing in area talent shows as a solo act, and composing his own original material. Before he graduated, Jackson was signed by producer Ollie McLaughlin and had a couple of regional hits around Detroit with “You Said You Love Me” and “Come Back Home,” but it took two years of touring throughout Michigan before Jackson was able to break through nationally. 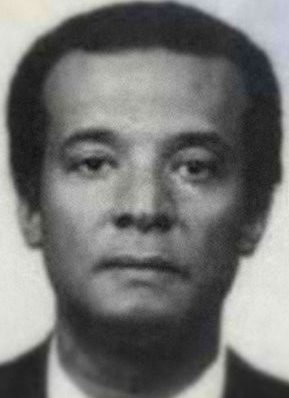 The song was “Love Makes the World Go Round,” which Jackson wrote and was released on McLaughlin's Carla label. It went to No. 3 on the R&B singles and 11 on the pop chart. A popular radio host was kidnapped and killed in Port-au-Prince, the second radio personality gunned down in Haiti in a week, according to Reporters Without Borders. Francois Latour, host of a daily advertising programme on Caraïbes FM and presenter on Radio Métropole, was found dead with a bullet to the stomach on 23 May, a day after being kidnapped by unidentified gunmen, says RSF. His abductors had demanded US$100,000 for Latour, but hours later, his body was found dumped on the side of a street. Latour's death came a week after Alix Joseph, a radio journalist and host of a cultural show, was shot to death, execution style, in the northern city of Gonaïves. According to press reports, politically motivated violence has eased since President René Préval took office last May, but poverty, joblessness and the drug trade continue to fuel widespread crime in the poorest country in the Western Hemisphere. 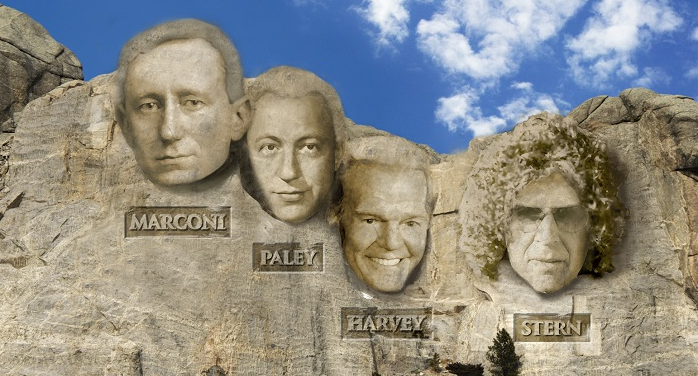 The marketing firm CRN International has come up with it version of Radio's Mount Rushmore. CRN felt it would be fun and thought provoking but couldn’t have anticipated the number of nominations or comments, some of them heated. CRN intentionally left the criteria for nominations vague. As they reviewed the nominations, they tossed around words like contribution, influence, impact, good standing and popularity. Guglielmo Marconi, William S. Paley, Paul Harvey and Howard Stern. 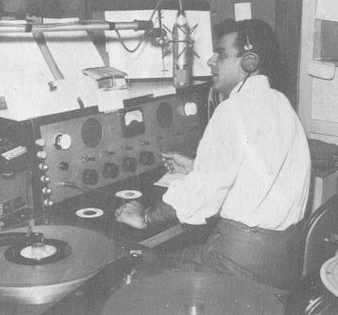 Robert Todd Storz (May 8, 1924 – April 13, 1964) is credited with being the father of the Top 40 radio format. The format came along just as TV was beginning to dominate the media landscape. 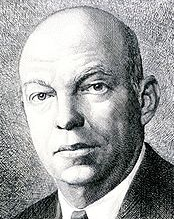 Edwin Howard Armstrong (December 18, 1890 – January 31, 1954). He has been called "the most prolific and influential inventor in radio history". He invented the regenerative circuit while he was an undergraduate and patented it in 1914, followed by the super-regenerative circuit in 1922, and the superheterodyne receiver in 1918. Armstrong was also the inventor of modern frequency modulation (FM) radio transmission. Without FM..perhaps we'd just have AM Radio! What does your Radio Mount Rushmore look like? 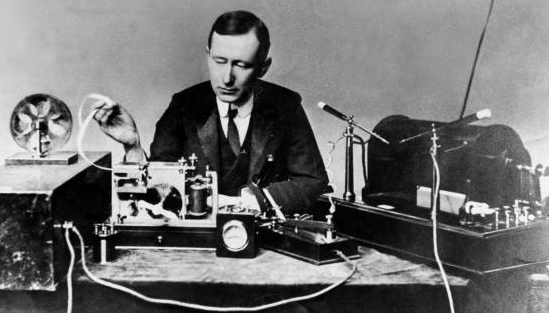 In 1874...Guglielmo Marconi was born in Bologna, Italy. His father was a wealthy landowner and his mother was a member of Ireland’s Jameson family of distillers. Marconi was educated by tutors and at the Livorno Technical Institute and the University of Bologna. In 1894 Marconi became fascinated with the discovery by German physicist Heinrich Rudolf Hertz of “invisible waves” generated by electromagnetic interactions. Marconi built his own wave-generating equipment at his family’s estate and was soon sending signals to locations a mile away. After failing to interest the Italian government in his work, Marconi decided to try his luck in London. The 22-year-old Marconi and his mother arrived in England in 1896 and quickly found interested backers, including the British Post Office. 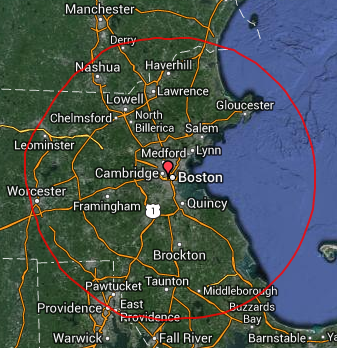 Within a year Marconi was broadcasting up to 12 miles and had applied for his first patents. A year later, he set up a wireless station on the Isle of Wight that allowed Queen Victoria to send messages to her son Prince Edward aboard the royal yacht. By 1899 Marconi’s signals had crossed the English Channel. The same year, Marconi traveled to the United States, where he gained publicity offering wireless coverage of the America’s Cup yacht race from off the coast of New Jersey. Marconi died in Rome on 20 July 1937 at age 63, following a series of heart attacks, and Italy held a state funeral for him. As a tribute, all radio stations throughout the world observed two minutes of silence on the next day. His remains are housed in the Villa Griffone at Sasso Marconi, Emilia-Romagna, which assumed that name in his honour in 1938. In 1943, the Supreme Court of the United States handed down a decision on Marconi's radio patents restoring some of the prior patents of Oliver Lodge, John Stone Stone, and Nikola Tesla. The decision was not about Marconi's original radio patents and the court declared that their decision had no bearing on Marconi's claim as the first to achieve radio transmission, just that since Marconi's claim to certain patents were questionable, he could not claim infringement on those same patents. In 1949…An article in LOOK magazine predicted that radio was doomed and that within three years TV would overshadow radio completely. In 1956...Elvis Presley scored his first Number One hit with "Heartbreak Hotel." 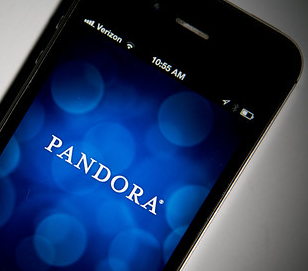 Pandora today announced financial results for the first quarter ended March 31, 2014. Pandora started 2014 with robust momentum and continued solid growth, stated Brian McAndrews CEO, President & Chairman of Pandora. Our strong first quarter results demonstrate Pandora's deep listener engagement, accelerating monetization, and increasing leverage in our business model. Looking ahead, we will continue to invest aggressively to extend our leadership position and drive forward the future of radio. Revenue: For the first quarter of 2014, GAAP total revenue was $194.3 million, a 69% year-over-year increase. Non-GAAP total revenue1 was $180.1 million, a 54% year-over-year increase, excluding $14.2 million in revenue relating to our subscription return reserve. Advertising revenue was $140.6 million, a 45% year-over-year increase. Non-GAAP subscription and other revenue was $39.5 million, a 94% year-over-year increase, excluding $14.2 million in revenue relating to our subscription return reserve. EPS: For the first quarter of 2014, GAAP basic and diluted EPS were ($0.14). Non-GAAP basic and diluted EPS were ($0.13), both excluding $14.2 million in revenue relating to our subscription return reserve, $17.4 million in expense from stock-based compensation and $0.2 million in amortization of intangible assets. GAAP and non-GAAP basic and diluted EPS were based on 199.9 million weighted average shares outstanding. Cash and Investments: For the first quarter of 2014, the Company ended with $445.9 million in cash and investments, compared with $450.1 million at the end of 2013. For the first quarter of 2014, Pandoras cash used in operating activities was $2.2 million compared to $12.9 million used in the year-ago calendar quarter. Listener Hours: Total listener hours grew 12% to 4.80 billion for the first quarter of 2014, compared to 4.26 billion for the same period last year. 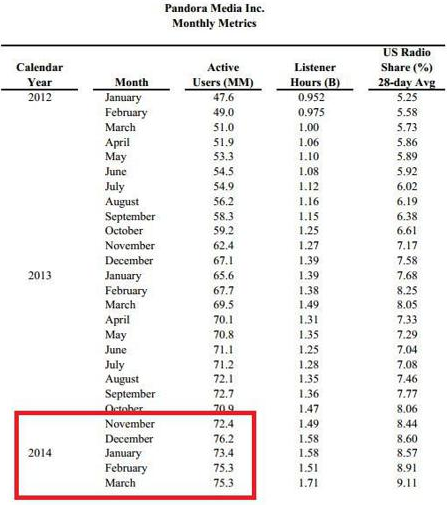 March 2014 Active Listeners: Active listeners were 75.3 million at the end of March 2014, an increase of 8% from 69.5 million from the same period last year. 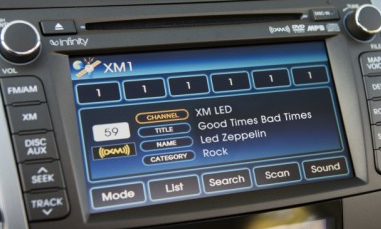 SiriusXM announced first quarter 2014 financial and operating results, including revenue of $998 million, up 11% from the first quarter 2013 revenue of $897 million. Earnings per diluted share were $0.02 in both the first quarter of 2014 and 2013. Net income of $94 million, adjusted for a non-recurring item associated with accounting for the Liberty Media stock repurchase agreement and purchase price accounting adjustments from the Sirius and XM merger, net of taxes, resulted in adjusted net income of $121 million, a 46% increase over $83 million in last year's first quarter. Adjusted EBITDA for the first quarter of 2014 reached a record $335 million, up 28% from $262 million in the first quarter of 2013. 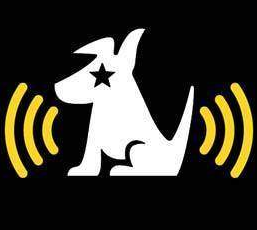 "SiriusXM performed ahead of our expectations in the first quarter, with 266,799 net subscriber additions including 173,480 self-pay net additions. For the ninth consecutive quarter we grew revenue at a double digit pace, and once again we set a new quarterly record for adjusted EBITDA and adjusted EBITDA margin. Free cash flow grew 56% compared to the prior year to a new first quarter record, and we resumed our stock repurchase program, helping to drive free cash flow per share up 64%," stated Jim Meyer, Chief Executive Officer, SiriusXM. "Our business continues to perform well. New car installations and trial conversions set first quarter records, and our trial funnel stands near an all-time high at 6.9 million. We are excited about this year's strong growth of subscribers, revenue, adjusted EBITDA, and free cash flow, and we are eager to continue deploying our capital to benefit our stockholders and grow free cash flow per share even faster," added Meyer. Subscribers Reach a Record 25.8 Million. Net subscriber additions in the first quarter of 2014 were 266,799. The total paid subscriber base reached a record 25.8 million, up 6% from the prior-year period. Self-pay net subscriber additions were 173,480, while the self-pay subscriber base reached a record high of 21.3 million, up 7% from the prior-year period. Total paid and unpaid trials were 6.9 million at the end of the first quarter of 2014. Adjusted EBITDA and Adjusted EBITDA Margin Reach New Record Highs. Adjusted EBITDA climbed 28% from the first quarter of 2013 to a record quarterly figure of $335 million, and the Company's adjusted EBITDA margin reached a record 33.5% in the first quarter of 2014. Free Cash Flow Per Share Climbs 64%. Free cash flow in the first quarter of 2014 was $223 million, up 56% from $142 million in the first quarter of 2013. Free cash flow per diluted share was 3.6 cents in the first quarter of 2014, up 64% from 2.2 cents in the first quarter of 2013. "Last year we took steps to lower our average cost of debt, and this year we have focused our efforts on significantly increasing our flexibility to return capital to stockholders by eliminating covenants in our 5.25% Notes and increasing the threshold for restricted payments in our Credit Facility," said David Frear, SiriusXM's Executive Vice President and Chief Financial Officer. "Tomorrow, we are scheduled to repurchase 93 million shares from Liberty Media for $340 million, bringing total share repurchases for the year to 158 million shares for $550 million and leaving us with $1.7 billion remaining under our share repurchase authorization. Total debt to adjusted EBITDA at the end of the first quarter 2014 was 2.8 times, below our 4.0 times leverage target. We expect to opportunistically tap the debt markets this year as we move towards our leverage target," added Frear. CC Media Holdings Inc. and subsidiary Clear Channel Outdoor Holdings Inc. both reported that their first-quarter losses widened. CC Media is the vehicle used by private-equity firms Bain Capital LLC and Thomas H. Lee Partners LP to privatize Clear Channel Communications Inc. in 2008. For the latest period, CC Media reported a loss of $424 million, compared with a year-earlier loss of $203 million. The wider loss included deferred tax impacts and higher interest expenses. Revenue was flat at $1.34 billion. Revenue from media and entertainment, the company's largest business segment, rose 2%, primarily reflecting increases at its traffic and weather business, as well as stronger national and digital advertising. CC Media Holdings, Inc. today reported financial results for the first quarter ended March 31, 2014. “We continued to make progress this quarter in advancing our strategy of providing customized, multi-platform market solutions that nobody else can,” Chairman and Chief Executive Officer Bob Pittman said. “In keeping with our promise to be everywhere our listeners want to find us, our Media+Entertainment business continued to build strong partnerships – making iHeartRadio available on Amazon Fire TV, Apple’s Car Play and the Samsung Gear 2 smartwatch. Our growing events business, which is extending the iHeartRadio brand across an increasing number of media platforms, successfully staged the first-ever iHeartRadio Country Music Festival in Austin. Another newcomer to our events line-up, the iHeartRadio Music Awards, will be televised live from Los Angeles on NBC on May 1. “Despite a difficult advertising environment due to disruptive winter weather across the U.S., we maintained our level of consolidated revenues, and also continued to invest in our businesses, to reinforce our foundation for growth,” said Rich Bressler, President and Chief Financial Officer. “At Media + Entertainment we flattened our management structure in order to move us closer to the business and make it run more efficiently, better serving our listeners and advertising partners, while staying focused on managing our expenses at both Americas and International Outdoor. Consolidated revenues were essentially flat in the first quarter of 2014 compared to the same period of 2013. Excluding the effects of movements in foreign exchange rates, revenues declined $1.0 million or less than 1%. Media+Entertainment revenues grew $14 million, or 2%, primarily reflecting increases at our traffic and weather business, as well as stronger national and digital advertising. Americas outdoor revenues decreased $18 million, or 6%, driven mainly by the absence of revenue from the 77 digital bulletins in Los Angeles that were turned off due to a court ruling, and lower revenues at airports due to contracts that were not renewed. Partially offsetting these declines was higher capacity and occupancy of digital bulletins in other markets. International outdoor revenues rose $3 million, or 1%. Revenue growth in emerging markets including China, as well as developed markets including the UK and France, was partly offset by declines in other countries, including those in Northern and Eastern Europe, primarily due to challenging macroeconomic conditions. Nielsen Holdings N.V. said its first-quarter earnings jumped 62% as the consumer-research firm reported increased sales in its main segments, according to WSJ. For the latest quarter, Nielsen reported a profit of $55 million, or 15 cents a share, up from $34 million, or 9 cents a share, a year earlier. Excluding restructuring costs and other items, earnings were 43 cents, up from 31 cents a share. Revenue improved 13% to $1.49 billion. 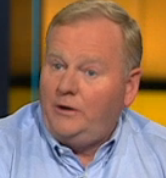 "Nielsen delivered a solid first quarter," said Mitch Barns , Chief Executive Officer of Nielsen. "Our underlying business performance, which was marked by broad-based revenue growth and strong profitability, was enhanced by the ongoing successful integration of Arbitron. Our clear focus on the key business priorities of our diverse global client base continues to produce steady and consistent results while delivering long-term value for our shareholders." The Federal Communications Commission said it will propose rules on Thursday that could give high-speed Internet providers more power on what content moves the fastest on the Web based on which firms pay the most. According to WaPo, the move could dramatically reshape the Web experiences of consumers, where videos for ESPN.com, Facebook or YouTube might be delivered more smoothly because of payments to broadband providers such as Comcast, AT&T and Verizon. The streaming videos of a smaller competitor could be halted with buffering and low-quality images if those firms aren't able to pay ISPs access to faster Internet lanes into American homes. In a proposal to be voted on May 15, the chairman of the FCC said new so-called net neutrality rules would prohibit broadband providers from straight out blocking sites and slowing down content in an anticompetitive manner. 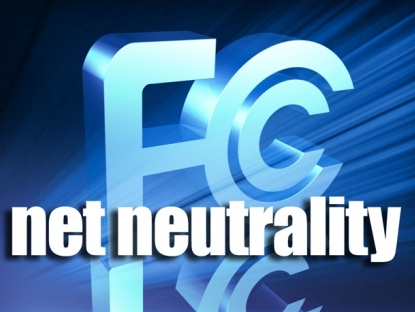 In a press briefing Thursday, the FCC is expected to outline criteria for its determination of unfair and anticompetitive business practices. The move represents a retreat from the agency's position in past years on the net neutrality principle, in which Internet providers must treat all web content equally. Clear Channel Media and Entertainment/Boston has announced Matt Siegel has extended his contract through 2018, effective immediately. 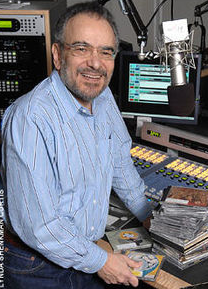 Siegel has been a Boston radio staple for more than 30 years. "Matty in the Morning" consistently delivers a unique brand of comedy and storytelling that captivates the audience ­ which has made the show No. 1 in ratings with women for well over three decades. The National Association of Broadcasters (NAB) recognized Siegel in 2001 and 2009 with the Marconi Award's Major Market Radio Personality of the Year award. "After having both competed against Matty and been on the same team, I know what a great personality and asset Matty is to Kiss 108," said Alan Chartrand, Market President, Clear Channel Media and Entertainment Boston. "He is an unbelievable talent and I am very happy that Matt will continue to entertain Kiss 108 listeners in Boston for many years to come." "Matty has been at the center of Kiss 108's success for more than 30 years and his ability to entertain and connect with Boston radio listeners is unmatched," said Dylan Sprague, Vice President of Programming, Clear Channel Media and Entertainment Boston. "Mornings in Boston simply wouldn't be the same without Matty on Kiss 108. I am thrilled he is extending his run." "Matty is a true Boston radio legend and we are excited to extend our relationship with him," said Tom McConnell, Executive Vice President of Operations, Clear Channel Media and Entertainment. "My wonderful love story with the city of Boston continues," said Siegel.